What does Faraz mean, details, origin, short & easy attributes? Faraz pronunciation in 20 different native languages. Muslim Meaning: The name Faraz is a Muslim baby name. In Muslim the meaning of the name Faraz is: Elevation. Faraz is baby boy name mainly popular in Muslim religion and its main origin is Arabic. Faraz name meanings is Ascent, Height, Exalted. People search this name as Faraz, Farazuddin, Karim faraz, Farazi, Faraza, Farazana, Faraz karim, Farazz, Faraz khan, Faraziya, Farazul. Faraz is written in Urdu, Hindi, Arabic, Bangla as فراز, फ़राज़, فرز,فراز, ফারাজ. Other similar sounding names can be Fara, Faraasat, Faraaz, Farafisa, Farag, Farah, Faraj, Faraqlit, Farasat, Farbud, Fard, Fardeen, Fare, Fareed, Fareeq, Farees, Fareh, Fares, Farhad. Each letter meanings in Faraz Name. Popular personalities with Faraz Name. Faraz Fareed Rabbani is a philosopher. Faraz was born in Karachi. Faraz Anwar is an instrumental rock and progressive metal musician. He plays Guitar. His ongoing career started in 1989. Faraz was born on July 15th, 1977 in Karachi, Pakistan. Faraz was born on September 9th, 1985. Faraz Kamalvand is an athlete for the Gostaresh Foulad F.C. Faraz was born on July 27th, 1975 in Khorramabad. Faraz Fatemi is a soccer player for the Machine Sazi Tabriz F.C., Fajr Sepasi F.C., Egaleo F.C., Esteghlal F.C., Zob Ahan Esfahan F.C., Persepolis F.C., Sanat Mes Kerman F.C., and Iran national football team. Faraz was born on October 4th, 1977 in Shiraz. Faraz was born on April 25th, 1993 in Karachi. 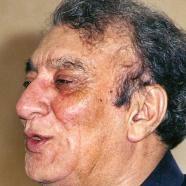 Ahmed Faraz was a ghazal urdu poetry and lecturer. His most notable accomplishments were from 1950 to 2008. Ahmed was given the name Syed Ahmad Shah Ali on January 12th, 1931 in Kohat. He left this life on August 25th, 2008. Shibli Faraz is a Pakistani Senator for Khyber Pakhtunkhwa and PakistaniSenatorforKhyber Pakhtunkhwa. 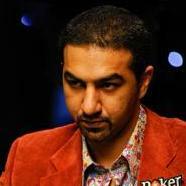 Shibli was born in Khyber Pakhtunkhwa, Pakistan. Tahir was born in Budaun. Ahadi Faraz is an athlete for the Kapylan Pallo.